According to the reports, the number of active users on social media has reached 3.03 billion across worldwide. These stats show that social media platforms are now a great source to hit the targeted audience easily and effectively. Most of the business owners now understand the fact that if they will not make their social presence then will be definitely left behind in the market. However, they are still some marketers who do not take social platforms as an effective medium to grow their business. 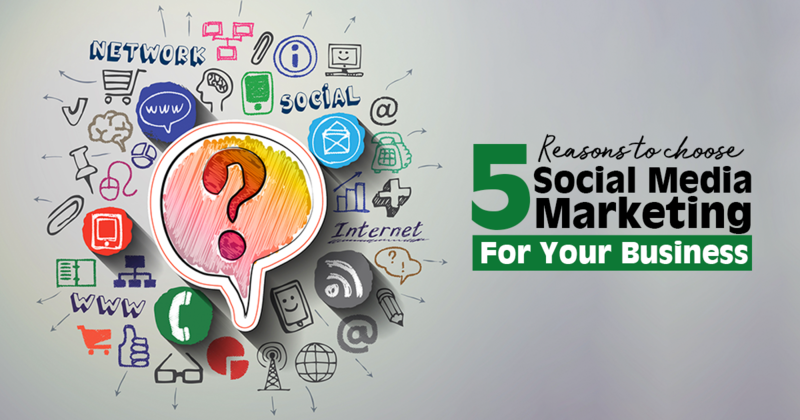 Therefore, at Crux Creative Solutions, one of the best social media agencies in India, our talented online marketers have listed five reasons that can get you started with social media marketing. Social media marketing improves brand awareness by increasing business visibility on digital platforms. To lead the market, it is extremely important for your products and services to be recognized by the audience. If the customers are not even knowing the name of your brand’s products and services then it is obvious that your strategy is failing somewhere. At Crux Creative Solutions, we suggest posting compelling and engaging content attracts the audience and makes the brand both accessible and familiar towards the new leads and customers. According to Crux Creative Solutions, one of the trusted Facebook marketing agencies in Gurgaon, along with brand awareness, brand loyalty is also necessary. The market is full of different companies selling the same product and it is obvious to get attracted towards big brands because they have maintained their loyalty towards the customers. Therefore, when people see interesting content of any brand regularly, they automatically start talking about it and eventually start trusting on the products and services provided by that company. When you decide to take your business online then the biggest challenge that you face is bringing the audience to your web page. Thus, you cannot only rely on the content that you update on your websites to increase your web traffic. When you post a new blog or update homepage, it takes a while to be crawled by Google so very few customers get to know that there is new content updated until the next time they search the product and service and offered by you. On the other hand, social media posts hit the target audience at the same moment when they are updated and provide an opportunity to directly reach your web pages form the social media posts. We at Crux, the trusted social media marketing company in Delhi NCR feel that all the social platforms have the power to encourage the two-way communication between the brand and the customers. It is an excellent platform where can reach to 1000s of your customers at the same time and can ask them to share thoughts, questions, and ideas to get to know them better. Through likes, shares, and comment section, the social media lets you understand the interest and the feedbacks of the customers. Social Media Marketing is also beneficial because it is cost effective. It declines the marketing cost and increases the traffic and lead generation. At Crux, our marketers give a lot of time in creating compelling content to get the best results. By just publishing content and having conversations with the followers through comments and direct messages, you can increase most of the social media results. Depending on the marketing objectives, it is relatively inexpensive to run ads on various social platforms like Facebook and Twitter.